As you should know by now, the idea that Mac computers cannot get malware Mac Malware Is Real, Reddit Bans Racism... [Tech News Digest] Mac Malware Is Real, Reddit Bans Racism... [Tech News Digest] Unmasking Mac malware, the Reddit racism row, Apple Music users, YouTube moves on from 301+, Destiny drops Dinklage, and The Human Torch drone. Read More is utterly false. Every day, security experts see more and more viruses popping up and affecting users. One of the most recent pieces of malware to hit the headlines in mshelper. In this article, we’ll explain what the malware is, how to know if you’ve been afflicted, and how to get rid of it. It’s not entirely understood what precisely mshelper is doing, but it’s widely suspected to be cryptocurrency mining malware Are Websites Using Your CPU for Cryptocurrency Mining? Are Websites Using Your CPU for Cryptocurrency Mining? Online adverts are unpopular, so infamous online piracy site The Pirate Bay has hit upon a solution: use every visiting PC to mine cryptocurrencies. Would you be happy if your PC was hijacked like this? Read More . Experts believe it is spreading through software installations. Excessive CPU usage preventing other apps from working normally. A hot machine, causing the fans to run continuously. Your battery only lasting for an unusually short period of time. Thankfully, it’s not too difficult to remove mshelper from your system. However, it’s not as simple as merely killing the process in the Activity Monitor. It will just start again almost instantaneously. Instead, you have two options. The first option is to download and run EtreCheck. The free app can run in-depth diagnostics tests and remove any malware it finds. And remember, as we said at the start, if you own an Apple, you need to install an anti-virus suite to protect yourself. 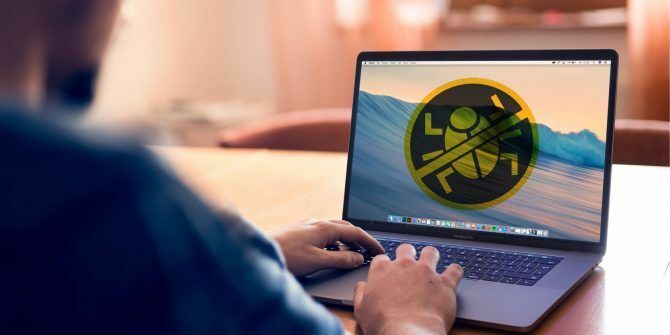 We’ve looked at some of the best anti-virus suites for Mac 9 Apple Mac Antivirus Options You Should Consider Today 9 Apple Mac Antivirus Options You Should Consider Today By now, you should know that Macs need antivirus software, but which one should you choose? These nine security suites will help you stay free of viruses, trojans, and all other sorts of malware. Read More and offered some conclusions you might find useful. "It’s not entirely understood what precisely mshelper is doing"
Then how do the experts know that it is a "cryptocurrency mining malware"? How do we know that deleting these files will really get rid of mshelper?